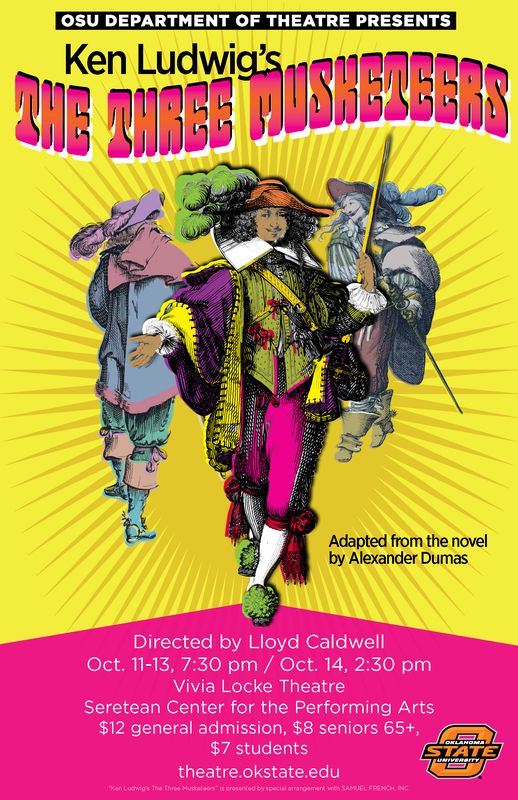 Oct. 11-13, 7:30 p.m. & Oct. 14, 2:30 p.m.
American playwright Ken Ludwig offers up a delightfully refreshing take on the Alexander Dumas tale of the three swashbuckling “Musketeers of the Guard” of 17th century France and the dashing upstart d'Artagnan who seeks to join their ranks. Swordplay, love, intrigue and danger, with a good dose of comedy thrown in—this is not your everyday period piece! Tickets available 2 weeks before the show. Nov. 1-2, 7:30 p.m. Nov. 3, 2:30 & 7:30 p.m.
Nov. 8-9, 7:30 p.m. Nov. 10, 2:30 & 7:30 p.m. In a Catholic school in the Bronx in the early 1960s, Sister James and Sister Aloysius suspect that the new rector, Father Flynn, may be engaged in an inappropriate relationship with a student. But they don't have the proof. 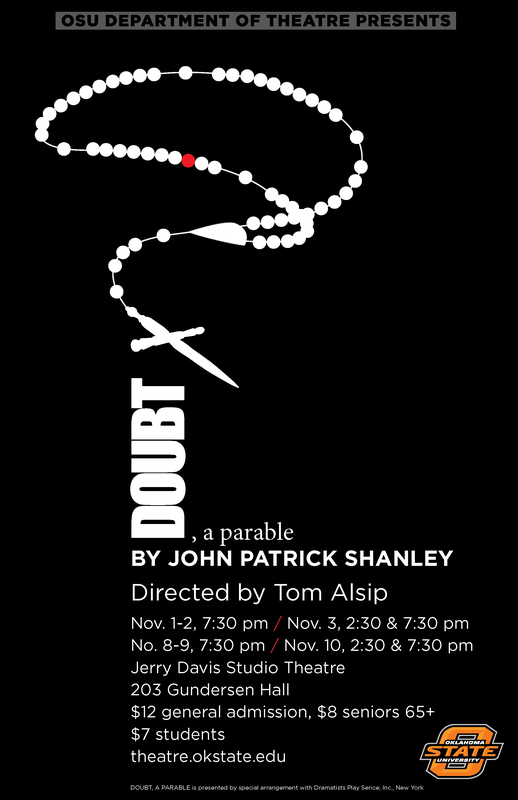 A searing and disturbing drama, Doubt won the 2005 Pulitzer and Tony awards for Best Play. For mature audiences and late teens. Feb. 14-15, 7:30 p.m. Feb. 16, 2:30 & 7:30 p.m.
Feb. 21-22, 7:30 p.m. Feb. 23, 2:30 & 7:30 p.m. 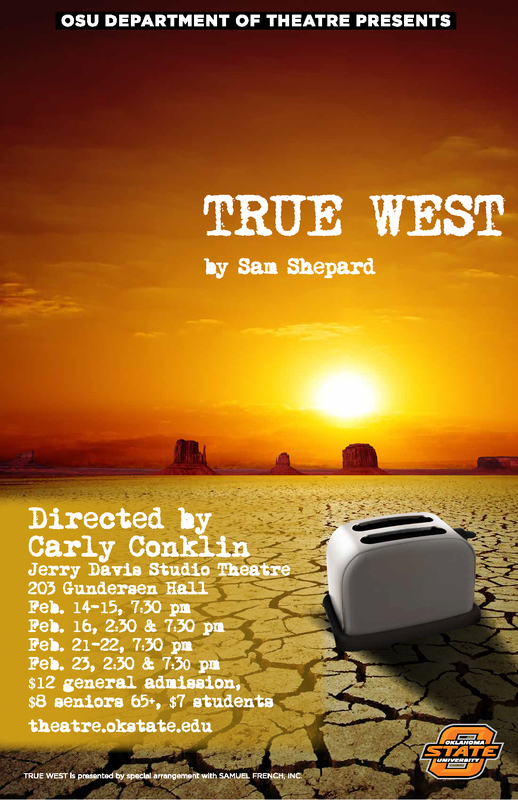 Produced in homage to the late Sam Shepard (1943-2017), one of the most acclaimed American playwrights of the late twentieth century, True West (1980) examines the American Dream and the American family from Shepard’s unique and prescient perspective. Austin and Lee, two brothers as unlike as any could be, engage in a battle of wits for a screenplay and a lucrative Hollywood deal. For mature audiences. 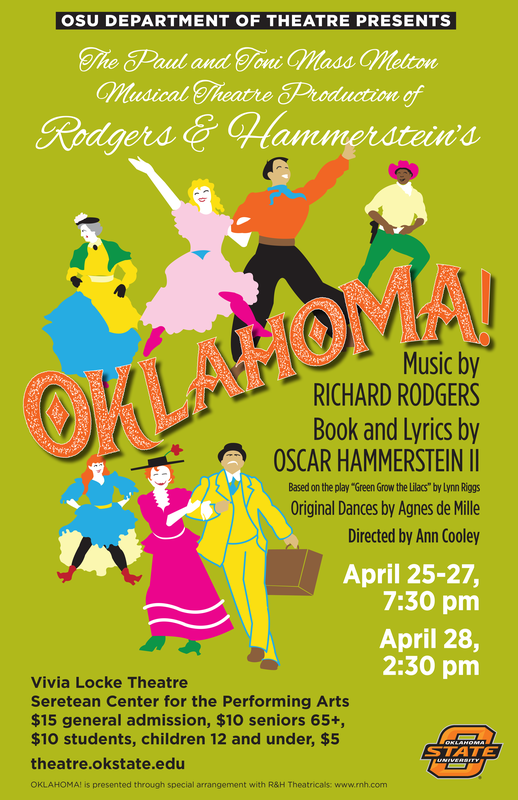 April 25-27, 7:30 p.m. & April 28, 2:30 p.m.
A classic staple of American musical theatre, Oklahoma! is set in Oklahoma territory in the days before statehood, and tells the stories of ranchers and farmers, particularly that of Laurey and her struggle over which man to marry, Curly or Jud. The first successful “book musical” integrating music and dance to drive the story forward, Oklahoma! has become an American treasure. Suitable for the entire family.